Nation’s power grid loses more than 30 percent of generating capacity. Buildings across Kathmandu, the capital of Nepal, collapsed in the devastating April 25 earthquake. At least 14 hydropower stations were also damaged. Click image to enlarge. The powerful April 25 earthquake in Nepal damaged 14 existing hydropower dams, including the 45-megawatt Upper Bhotekoshi Hydropower Project, according to the Nepal Electric Authority. The earthquake affected not only the physical structures — the people working at hydropower facilities were also in peril. Last week, China mounted an arduous mission to rescue 250 workers who were trapped at a hydropower station, under construction near the epicenter of the earthquake. Narendra Prajapati, the chief executive of Bhotekoshi Power Company, said boulders that fell from a cliff damaged the huge pipes that carry water to the dam’s turbine powerhouse. Thirteen workers have been evacuated from the site. This is the latest bad news for the project, which has only been open for three months after being shut down for five months following a landslide in August 2014. “We assume generators have been flooded by the leakage of water due to damage in the penstock,” Prajapat told MyRepublica, the Nepalese news agency that first reported the extent of earthquake damage to the country’s hydropower sector. The Nepal Electric Authority said that the country’s generating capacity from hydropower — which supplies almost all of the country’s electricity — has fallen from more than 500 megawatts to 354 megawatts, a loss of 150 megawatts since the earthquake. Nepal is importing 210 megawatts from India, which brings total generating capacity to 564 megawatts. That is an acutely small level of electrical-generating capacity in a nation of 28 million residents. In 2012, utilities in Texas — a U.S. state of comparable population — generated more than 28,000 megawatts of electrical capacity, according to the Energy Information Administration, a unit of the federal Department of Energy. One of Nepal’s installations, the 10-megawatt Sunkoshi Hydropower Project, sustained serious damage for the second year in a row. In June 2014, a landslide hit the installation. 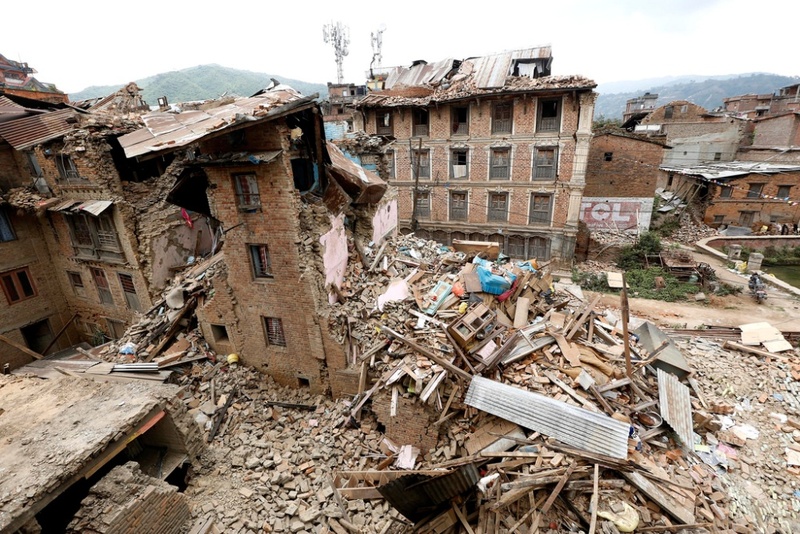 Repairs will take months, according to the Nepal Electric Authority. Nepal utility authorities also said that the 24-megawatt Upper Trishuli 3A project was hit by landslides, and much of the access road to the dam was washed away. Cracks also opened in the dam of the Kulekhani Hydropower Project. Other projects can be brought into operation in less time once roads are repaired and when equipment and workers become available, said authorities. This story is an update to Keith Schneider’s “Nepal Earthquake Damages Hydropower Dam,” published by Circle of Blue on April 30, 2015.